We are one of the leading Service Provider, Distributor, Exporter, Trader & Importer of Bakery Processing Machineries. 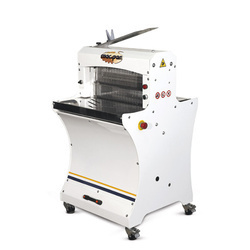 Slicer produced completely of stainless steel structure and can be supplied either as bench type or with base on wheels. The cutting is made by means of a double frame of blades with an alternative axil movement. 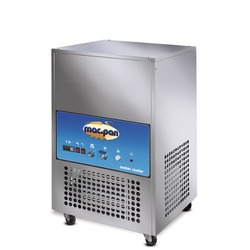 it is supplied with a drawer for crubs, with surfaces and bread pushers of stainless steel. 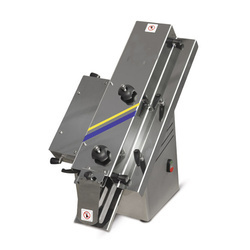 it has the possibility of changing the cutting height by regulating the height of both the upper bread pushers and of the front bread pusher (for the cutting of different dimensions of bread). 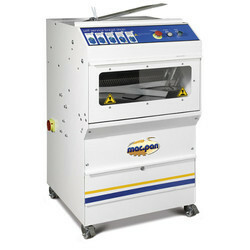 The MPT500AUT/ MPT400AUT cutting machine is a high performing automatic unit with an output capacity of 600-800 pieces of bread per hour. Reliability and long lasting operational functions are guaranteed over time. The machine has adjustable top and bottom belt and a lever which controls the distance between them. 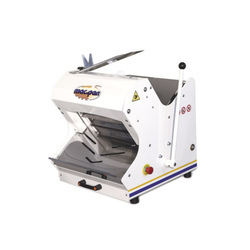 it is fitted with a chute, an air blower and a foot pedal which can start the machine from any position. 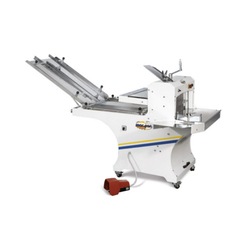 The incorporated packaging unit runs at a speed of approximately 500/600 pieces per hour. The blade distance can measure 11/12/13/14/15/16/17/18/19/20/21/22 to meet individual customer requirements. 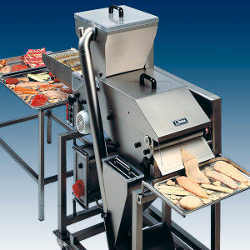 The new-self Service bread slicer leads the way to a new approach to bread slicing. Safety, user-friendliness and self service have become the main objectives. 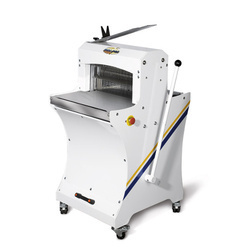 Here, everything is designed to offer both the bakery operator and the customers a risk-free slicing experience. The working table model MACTAB is suitable for small and medium works-rooms for the production of : Diamond, Croissant, Bearclows,Strudel,Sausage rolland other products. Standard lenght of table 2 meters, operating space width 580 mm. Sisez of moulds at the costumer's reques. With our consistent focus on globally hit trend, we proudly introduce a wide range of Water Cooler. Offered water cooler is developed with high grade components and modern technology under the direction of vendor’s experts. 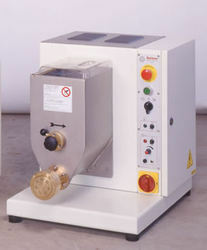 Our water cooler is essential for controlling the quantity of water used when making dough. Customers can easily avail this water cooler from us at competitive rates within given period of time. 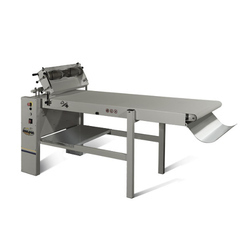 Breading machine SXJ600-coats evenly the chicken, , meat and seafood a top layer by outpouring the crumbs from the hopper and a bottom layer while the products are passing the conveyer belt. Ddamage of the crumb, easy to realize the standard production. Access to former, battering machine and fryer for a continuous Pproduction line. Stainless steel made, creative design, reasonable structure and eliable characteristics. 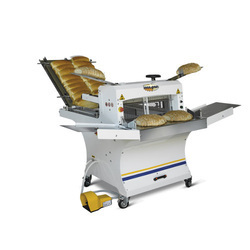 Looking for Bakery Processing Machineries ?